The Australian company, Optro, built 16 and 24 track two inch tape machines. These where designed by Mr Graham Thirkle, the company owner/director who also developed the Editron syncroniser. 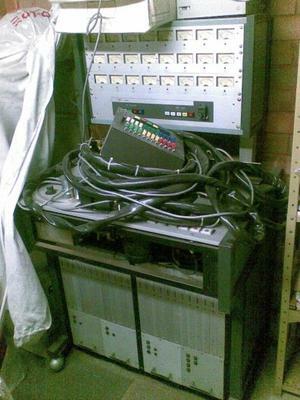 It is beleived by members of the AES, in Australia, that Graham was in fact the first to develop the 2 inch 24 track tape machines. The rare collection Christopher. Thank you for sharing it. It need a good service I can feel that from the photo. Keep it as a treasure or share it with the legends they will give you a big story of this. Do you have any more information on the manufacture and/or their respective products. Thank you.